As we have since July 2006, each Friday we’ll post our sampling of cigar news and other items of interest from the week. Below is our latest, which is the 574th in the series. 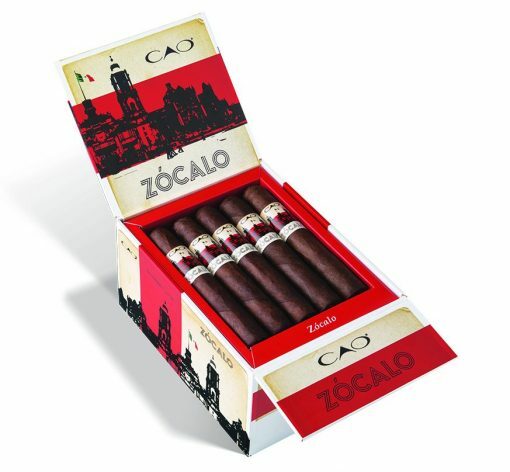 1) This week CAO announced a new, limited edition release called Zócalo. The cigar, CAO’s first blend to use a Mexican San Andrés wrapper, is being made in one size only, a vitola called San Andrés (6 x 60) that includes a Cameroon binder and Nicaraguan filler tobaccos. Individual cigars will sell for $8.49 and come in brightly colored, 20-count boxes for $169.80. Only 3,500 boxes of Zócalo have been produced, and the limited release will hit cigar shops in time for Cinco de Mayo on May 5. 2) SAG Imports, the distribution arm of Quesada Cigars, will no longer serve as the U.S. distributor for Matilde Cigars and MLB Cigar Ventures (MLB). Instead, effective immediately, SeiBel Distribution—a new company formed by Enrique Seijas of Matilde and Mike Bellody of MLB—will serve as distributor of the brands. This new distribution arrangement in no way impacts the production of the cigars themselves. Quesada will continue to produce the Imperia, Islero, and Aventador brands for MLB; Tabacalera La Alianza will continue to produce the Matilde brands. Both Seijas and Bellody spoke highly of Quesada but acknowledged the need for more control over the distribution process. 3) Inside the Industry: New York City cigar smokers are invited to attend the fourth annual New York City “Boats and Smokes” cigar cruise series. On Thursday, May 17th, cigar connoisseurs will get the opportunity to sail on the East River with skyline and Statue of Liberty views. The cruise will feature cigars by La Gloria Cubana, CAO, and Macanudo, with a portion of the proceeds going to Cigars for Warriors. More details and tickets to the event, which sold out last year, can be found here. 4) From the Archives: In one of our most controversial interviews, we spoke with Michael J. Mcfadden, author of TobakkoNacht: The Antismoking Endgame. Read the entire thing, including the spirited comments, here. 5) Deal of the Week: Here are over 80 deals, including cigars from Ashton, Oliva, Tatuaje, Rocky Patel, Padrón, Drew Estate, Davidoff, Cohiba, Crowned Heads, RoMa Craft, and more. Free shipping is included on any purchase. If you really want to stock up, add promo code “GBP20D” at checkout to knock $20 off an order of $150 or more. As we have since July 2006, each Friday we’ll post our sampling of cigar news and other items of interest from the week. Below is our latest, which is the 573rd in the series. 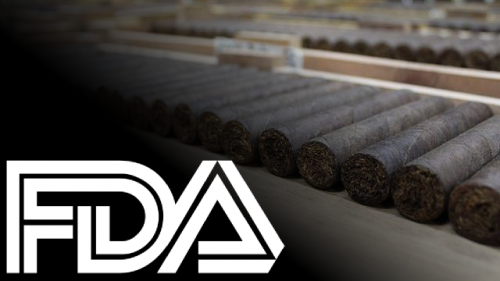 1) On the heels of the U.S. Food & Drug Administration (FDA) announcing its intent to seek comments about reconsidering existing regulations of premium cigars, the cigar industry is now seeking to eliminate FDA warning label requirements, which are scheduled to go in effect on August 10. The Cigar Association of America, Cigar Rights of America, and International Premium Cigar and Pipe Retailers Association have asked U.S. District Court Judge Amit P. Mehta (pictured at right) to delay the new warning label rules while the FDA reconsiders its position. 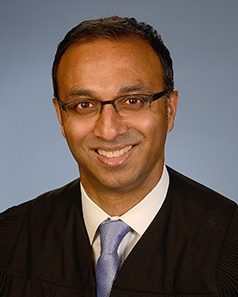 The trade groups are hopeful Judge Mehta will be consistent with his statement from December hearings in this case when he said, “I guess I just have a real problem, it seems to me, with a government agency telling an entire industry [to] spend millions of dollars to satisfy a regulation that we’re not sure is going to be on the books a year from now or two years from now.” At issue are larger warning labels on cigar boxes, and rules about where these labels would need to be placed. As we wrote last week, simply considering a premium cigar exemption, of course, doesn’t guarantee that the FDA will ultimately adopt one. The FDA notably considered and rejected such an exemption in its original regulation of cigars. 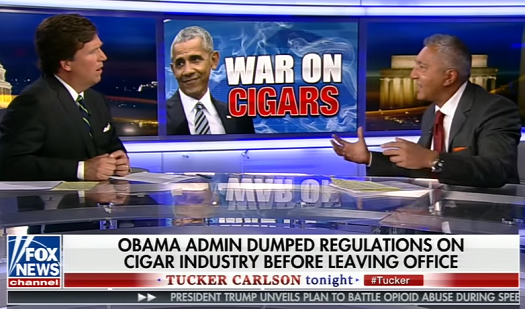 However, the willingness of the new FDA leadership to spend time and resources considering rolling back its regulations is a good sign for those who make, sell, and enjoy cigars. 3) Kentucky recently passed HB400, a law which, for the first time, and in certain circumstances, allows the state’s famous bourbon distilleries, along with state wineries, to ship bourbon directly to consumers outside the state. The law allows those who visit the state’s distilleries in person to ship whiskey to their home state, depending on their local laws. 4) Inside the Industry: RoMa Craft is restarting production of Neanderthal following a shortage of adequately aged Mexican San Andrés Ligero Capa. According to RoMa Craft’s Skip Martin, current back-orders of the line will begin being filled in late 2018. 1) Yesterday, Alec Bradley announced the release of Medalist, an affordable, mild cigar line that will begin shipping globally in April. 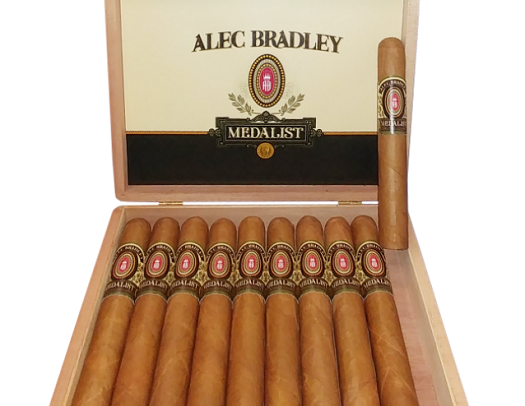 “With Medalist, we are looking to remind people of our company’s past,” said Alec Bradley founder Alan Rubin, who started selling mild cigars in the mid-nineties but has since been focused on medium- to full-bodied cigars. “We are also asking milder cigar smokers who have shied away from us to give us a chance.” Medalist sports a shade-grown Honduran wrapper, Honduran binder, and filler tobaccos from Honduras and Nicaragua. Four vitolas will be available, each presented in ten-count boxes: Robusto (5 x 52, $6), Toro (6 x 54, $6.50), Churchill (7 x 50, $7), and Gordo (6 x 60, $7). 2) J.C. Newman, the oldest family-owned premium cigar maker in America, announced this week major changes to its marketing structure. 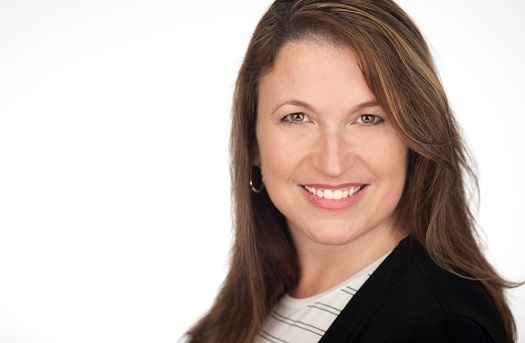 Cristal Blackwell-Lastra (pictured), formerly the vice president of sales, has been promoted to vice president of sales and marketing, where she will be responsible for “setting the strategic sales and marketing direction for J.C. Newman’s international sales network and promotional program.” In addition, Kara Guagliardo and Monica Foster have been promoted to co-directors of marketing, where they “will work to develop and execute all marketing strategies while also managing the company’s communications and media program.” Guagliardo and Foster will report to Lastra. “The new structure will enhance the synergy between sales and marketing toward a more focused vision of J.C. Newman Cigar Company to our retailers and consumers,” said Lastra in a press release. “This is a pivotal new chapter for our company, comprised of a capable and creative team ready to take us to the next level and beyond.” J.C. Newman’s handmade cigar portfolio includes Diamond Crown, Maximus, and Julius Caeser (made by Tabacalera A. Fuente in the Dominican Republic), as well as Brick House, Perla del Mar, El Baton, and Quorum (made at Newman’s El Reloj factory in Tampa). 3) Davidoff is launching its newest Vault release today, the Limited Edition Gusto Toro. Vault selections include what Davidoff describes as “factory reserves, vintage classics, and private and rare collections.” The Gusto (6 x 52), a creation from Eladio Diaz, features an Ecuadorian Sumata wrapper, Ecuadorian Habano 2000 binder, and filler from the Dominican Republic. It will be sold in bundles of 10 for $320. 4) Inside the Industry: Altadis will unveil next week the latest in the seemingly never-ending expansion of its Romeo y Julieta line. This one is the Romeo San Andrés, a collaboration between Rafael Nodal and A.J. Fernandez. In addition to the Mexican wrapper, it features a Nicaraguan binder and filler from the Dominican Republic and Nicaragua. The cigar will be available in four sizes packaged in boxes of 20. 5) From the Archives: Wedding season (and bachelor party season) is around the corner. If, as the best man or resident cigar expert, you are responsible for purchasing cigars for the event, we have a few pieces of advice. 6) Deal of the Week: Fancy humidors can be great, but when it comes to functionality and value you’d be hard-pressed to beat an acrylic jar like this one, which is currently on sale for $12.50 (with free Amazon Prime shipping). As we have since July 2006, each Friday we’ll post our sampling of cigar news and other items of interest from the week. Below is our latest, which is the 569th in the series. 2) Davidoff is expanding distribution for one of its unique cigars—an un-banded belicoso made for the Switzerland-based company by another manufacturer. The limited production My Father Exclusive Davidoff was originally sold only at its New York store on Madison Avenue, said Alberto Rosario, senior retail marketing manager at Davidoff. 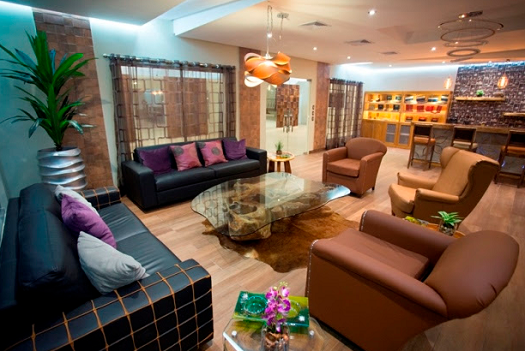 Now, it will be available at all Davidoff flagship stores and at Davidoff online. It is a toro-sized (6 x 52) Nicaraguan puro rolled at Don José “Pepín” García’s My Father Cigars factory in Nicaragua. They are packaged in cabinets of 50 for $500. 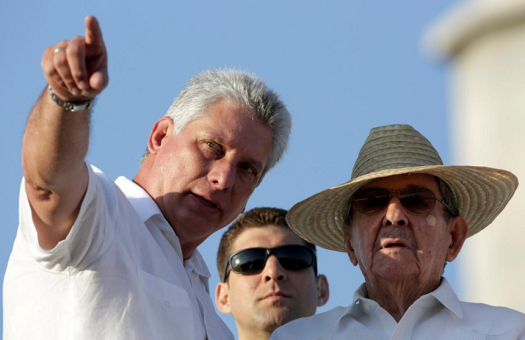 Rosario noted that, while this joint effort began some years ago, other collaborations could be in the offing. 3) J.C. Newman’s Cuesta-Rey Cigar Bar at Tropicana Field, home of the Tampa Bay Rays, won’t be around this baseball season for the first time since the team’s beginnings in 1998. But Eric Newman, president of J.C. Newman, told the Tampa Bay Times this week that if plans for a new stadium in Tampa’s cigar-storied neighborhood of Ybor City come to fruition, he’ll push for a cigar lounge there. “That would be a natural for us,” Newman told the newspaper. 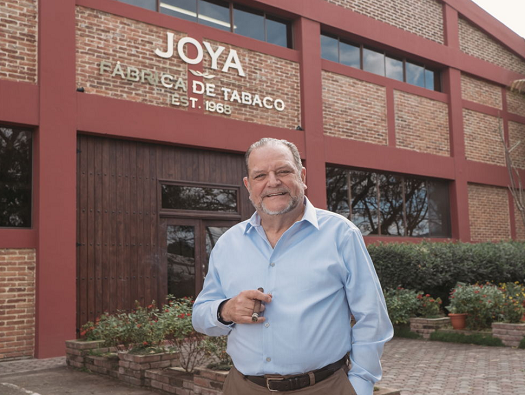 The company bills itself as “America’s oldest family-owned premium cigar maker” and has been in Ybor City since moving from Cleveland in 1954. 4) Inside the Industry: Ezra Zion announced a partnership with the makers of Oak & Eden Bourbon and Oak & Eden Rye. Oak & Eden whiskeys employ a technique of “in-bottle finishing” with a patented spire technology that allows for charred oak wood spires to continue the wood aging process in the bottle. According to an announcement, Ezra Zion will introduce a line of Oak & Eden whiskey-inspired cigars to be paired with the whiskeys. 5) From the Archives: There hasn’t been much news lately about the FDA regulation of cigars. Looking back, reports last summer suggested good news could be on the way, as the new administration seemed less likely to push for the most egregious aspects of the rules. 6) Deal of the Week: Here are over 80 deals, including cigars from Ashton, Oliva, Tatuaje, Rocky Patel, Padrón, Drew Estate, RoMa Craft, Mi Querida, and more. Free shipping is included on any purchase. If you really want to stock up, add promo code “GBP20D” at checkout to knock $20 off an order of $150 or more.